Keeping SEO on the point is one of the most important factors to establish an exceptional digital marketing presence over the web with an exceptional WordPress website. The need goes easy to fulfill with SEO checklist, which is as important to keep in the mind as the content and other important metrics. SEO or the search engine optimization is the process that offers visibility to the websites and helps them rank well over the web. SEO techniques offer visibility to the website with “unpaid” (organic or algorithmic) or “natural” search results. SEO optimizing is the right technique for your WordPress blog to be found, read, and shared. Moreover, SEO techniques not only help the WordPress blogs provide visibility to the website but also let your E-commerce site get searchable easily when optimized well with WordPress SEO plugins. Creating high-quality content is one of the indispensable parts of optimizing pages to appear in search results. 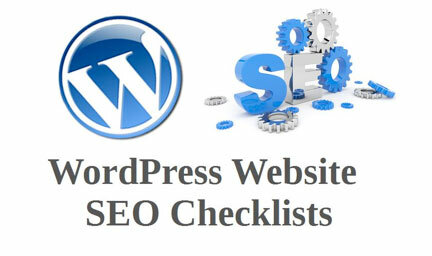 Moreover, for accomplishing the task exceptionally, here is the WordPress SEO checklist that should be kept in mind. 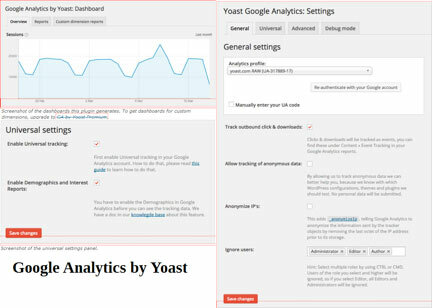 Google Analytics and Google Webmaster Tools are all there to track and report website traffic. 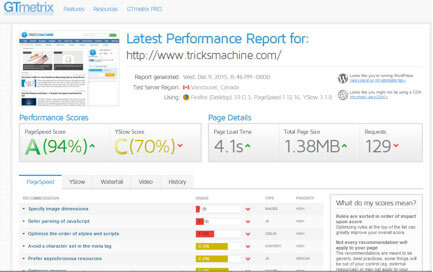 Installing Google Analytics verifies websites in Google Webmaster Tools. The dashboard is not only free but is among one of the most important SEO tools to be used. Google Webmaster Tool or GWT helps you understand how Google views websites, the number of pages that are ranking well, and more. With the help of WordPress SEO plugin SEO Yoast we can manage this. The practice of picking up the best URL from a choice of different URLs is called canonicalization. Good canonicalization means search engines are crawling more pages of your website that further states that link authority and PageRank gets consolidated, which builds up a stronger link profile. Thus, canonical tags must specify preferred URL. Effective keyword research is an important skill to be implemented when specific pages are there to be targeted. Impressive content, on the other hand, can also serve as an important metric for increasing the searches for a particular page. Relevant content as well as the keywords help in the better ranking of the page over the search engine. Such keywords help in better crawling of the search engine to show the results in the feed. 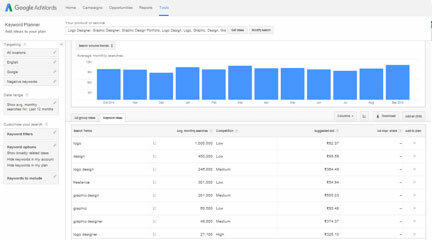 With the help of Google AdWords Keyword Planner Tool you can select the best Keywords. For better search optimization of WordPress websites, pages and posts must have unique tiles ranging between 65 to 70 characters. Moreover, when it comes to keyword appearance, it need to be 10 keywords per page copy. Page title improves the ranking of the page on Google in addition to helping the users search a page and prompt them to click for better rankings. Unique meta description are less than 156 characters. Meta descriptions are important as they explain to the searches what the content is about and why users should click on it. Moreover, there are WordPress plugins that help you optimize meta description to get visible over search engines. Headers tags are important to be incorporated into a web page as they serve as essential codes for search engine so that it can look upon the most preferred result while searching the visitors’ queries. Moreover, it is best to paste your H1 tag close to the top of the page. H2 tags, on the other hand, are important to denote sections on the page. In addition to it, H3 elements are used as sub headings for linking groups to sources that are most relevant. In standard WordPress websites, the URL gets generated automatically based on the title of the page. Moreover, the URL can be optimized for focusing on the key search term. The techniques of optimizing the URLs becomes more important as it is a key to attract readers towards the page. When your page will rank on the top searches because of the optimized URLs, readers are sure to click the link with at the very first site. 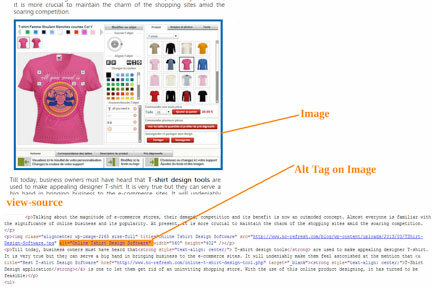 Ignoring alt text and image tags is one of the mistakes that a number of people do. Optimizing images over a website is important as search engines solely depend upon the texts included with the images. A file that has been named properly and describes the image well is more likely to be shown on the result feed when a related search is made by the user. Pages that load fast accomplish the search for the visitors in less time, which is one of the metrics to hold on the visitors to a specific page. With “page speed online”- the web based tool, developers, as well as users have the opportunity to increase the speed of a specific page. The algorithm for loading a page well defines that web pages must load in less than 3 second to accomplish searches well. Good posts should always be linked to other related content sources. These links allow search robots to crawl the older posts. Internal linking over the pages is important as it sends signals to search engines to determine the pages on the site that are the best resources. Thus, linking back to the own service page is the best trick. If you follow these essential WordPress SEO checklists, you are sure to increase the visibility of your website. With these exceptional suggestions, the SEO transactions will soon offer fruitful results to help rank the site well over search engines. Thus, keep in mind to include some or all of the metrics for better SEO results. Being a creative developer at Sparx IT Solutions- PSD To WordPress Conversion Provider , Tom Hardy is passionate about researching on new technologies in both mobile and web that could enhance website and mobile functionalities. He keeps an eagle eye on the latest happening in the web & mobile world to remain updated with the current market trends. Follow him on Google+, Facebook, and Twitter.